Need additional storage space for your condominium, apartment or beach home in Orange Beach? 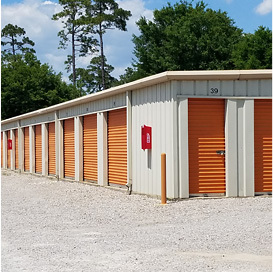 We're all about storage at Orange Beach Mini Warehouses, and we’ve got the self-storage units for rent you need! 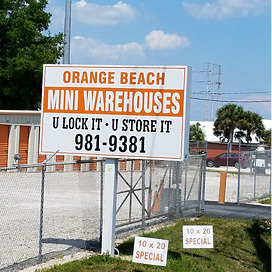 Orange Beach Mini Warehouses is your locally owned and operated source for self-storage and business storage rentals for your extra stuff. 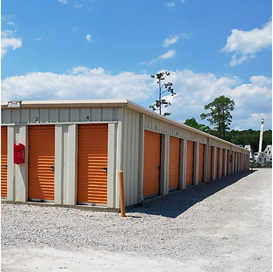 Our public storage rental warehouses sit high and dry, giving you peace of mind that your belongings are safe. Secure gated 24/7 entry adds an extra layer of protection. 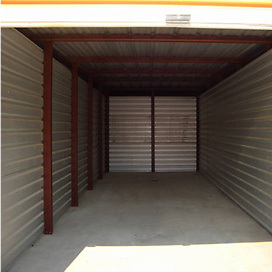 Mini storage units range from 5x5 to 10x30, and all are easily accessed from the exterior of the buildings. Orange Beach Mini Warehouses is conveniently located on Canal Road, just west of The Wharf in Orange Beach. Whether you’re in Gulf Shores or Orange Beach, give us a call today and let us help with your mini storage needs!